We are accustomed, in this other country of my dual-citizenship, to bemoaning the lack of freedom in faraway places—in Jane Smiley’s post on this same blog, even, when she talks about the problems faced in “many cultures” where solidarity trumps individual will, unlike here where personal interpretation of feminism is a triumph for individualism. I see an abyss in such a reading of our common world, one where we are each poised to free-fall, alone, into a sharp edged pit of joylessness. I, too, envision a world where women—and men—are spared the horror of rage, violence and condemnation, particularly within the intimate setting of home, but I understand that this is the reality for many women and men in this vast land where we genuflect before the altar of individuation, as it is in my country of birth, where our first resort and our last is always communal. Our successes, my American sisters and mine, are better for the fact that they complement each other. It has been said before, but it merits being said again: We rise and we fall together, and a deeper appreciation for the ways in which we navigate our common world is something I value far more than any notion that one or the other of us is privvy to the “right” way to celebrate the multitudinous blessings of our gender. Where I come from we didn’t do regular mammograms. We went to doctors when we got sick – same with dentists. The daily preservation of health, the consciousness of a life in our nineties when we would be zipping around in full control of our facilities and our various moving parts, these did not dominate the national conversation. I knew of one friend of my mother’s who was around forty years of age who had breast cancer; I only knew this because my mother used to give this lady’s daughter extra lessons in English literature, and very often the two of them used to be dressed all in white. “She does bodhi pooja,” my mother explained, conjuring up the familiar image of clay pots of water carried around and spilled over the roots of an ancient Bo tree that centers each temple, of incense and flowers and hours spent sitting on the soft sand that make up the “floor” of a temple, uttering prayers. I signed up for a mammogram early in my American life and then let it slide. I’d show up and there’d be too many people there. I didn’t want to bother my neighbors to watch my babies for any longer than necessary, so I’d give up and go home. Then we moved from Maine to the Main Line in Philadelphia and I was too busy to schedule mammograms. Until someone said you had better. And then I had more of them. And biopsies. And surgery. And more mammograms. Women complain about the procedure. It is weird and uncomfortable. Pain, though, is relative. It hurts to have a metal pin inserted into ones breast without anaesthesia, the helpful marker for the surgeon waiting for you in another room. A mammogram, by comparison, becomes a whatevs. Still, three and a half years later, the pain that made me cry out like a child has receded. I gasp over the discomfort of the mammogram, the clinical disinterest of the technician administering it. I have to remind her that the ribs underneath, compromised by the radiation, have cracked before. She nods, but is unrelenting – I swear she pulsed the plexiglass an extra time, pinning my body in its vice harder than necessary. I probably imagined it, but it feels good to have a tangible enemy, she in her pink gown and pristine room who asks what I do for a living and tunes out the moment I say I am a writer. Outside, in the waiting room, I let my usual irritation with noise take over. I turn off the ever-blaring TV spouting recipes for Thanksgiving menues. I wait and I wait for someone to tell me that there is nothing wrong. And I am reminded of the Millenium Bra from Victoria’s Secret, billed as the ultimate fantasy gift, studded with 2,000 diamonds and sapphires in platinum star settings. I wonder about Heidi Kluhm. Whether she has mammograms. I think about the strapless number I once purchased from Victoria’s Secret, an item so overly enhanced that it added poundage to my frame, an item that made me feel as though I was heaving around a piece of furniture balanced upon my chest. It rests now among other lingerie, unwieldly, not something to be folded neatly and placed discreetly among her brethren but, rather, a monstrosiy that seems to move of its own volition. The technician arrives to tell me I am free for another six months. Victoria’s Secret. Such an anchronism in a world such as this and under such circumstances. Iran has been on our collective mind over the last several weeks. The administration listened at the UN while the Iranian president was speaking (a departure from past policy) – even as the Israeli lobby was urging military strikes against Iran – and in an article in the New York Times, reporters Helene Cooper and Mark Landler, stated that Iran had agreed to one-on-one talks with the United States, as soon as the elections were over. While the news has, in the days since, been parsed beyond all comprehension, the subject of Iran was on the cards at the last presidential debate. While both candidates agreed that Iran must not be allowed to obtain control of nuclear weaponry – we will set aside the discussion of the rationale behind that, given that America leads the world in terms of her own nuclear arsenal – Mitt Romney all but foamed at the mouth as he spoke of President Mahmoud Ahmadinejad, promising to see that his diplomats “are treated like the pariahs they are around the world.” While the twitter feed erupted with an intense discussion of what people, not candidates, think about the matter of Iran, a link was passed around for a while; one explaining how the American election is being heard, seen, and covered on the ground in Tehran. It made me wonder what ordinary Iranians, the kind of Iranians who read newspapers and follow foreign policy, truly think. I decided to check in with a young Iranian journalist, Seyed Yasser Jebraily, who began work at Iran’s largest newspaper, Kayhan, and is now the Deputy Research and Education Director of the Tehran-based, Fars News Agency. He is also a student International Relations at the University of Tehran who has written extensively about the political life of Iranian reformist president, Seyed Mohammad Khatami, from 1997-2005. Given his POV, I was under the impression that at least one of the news aggregating services for whom I write might be interested in carrying an interview in which an Iranian journalist makes the case for more collaboration between America’s independent media and the independent media in his own country. Apparently not. Apparently we – even those of us on the Left – are far too comfortable with the idea that Iran is inhabited by regressive, raging fundamentalists who spend their afternoons stoning women to death and screaming Death to America! The response called to mind the series of beautiful photographs posted on Facebook and elsewhere by my good friend, Elliott Woods, images that ridiculed the Newsweek story by Ayaan Hirsi Ali about a phenomenon called “Muslim Rage.” So, what to do? Nothing but this: to post it here and hope that people will read it and share it. Criticizing those behind the desecration of Islam? 11%. If we can agree that a movie made by one person in the US is not representative of the entire American population, in the same way that the person who killed Ambassador Chris Stevens is not representative of the entire Libyan population, what benefit is there to cutting ties with the US? And should the American government be concerned that such an overwhelming number of respondents feel that this is the solution to the problem? Imagine what would happen if the Libyan government had responded to the death of Ambassador Chris Stevens with these words: “Our revolution is committed to protecting Islamic values and we cannot stop individual citizens from reacting to governments who let their citizens insult these values, no matter how fatal the reaction is.” I am sure the American people would ask their government for a political -or military! – action against Libya. However, Libya’s immediate reaction was to arrest 50 suspects in the killing of Ambassador Chris Stevens. Lastly, the Press TV poll is not the only poll that shows what goes on in the hearts and minds of Middle Eastern people about the U.S. government. According to a 2011 Zogby poll conducted in Egypt, Lebanon, Jordan, Saudi Arabia, the United Arab Emirates and Morocco, just 5 (in Egypt) to 30 (in KSA) percent had a favorable attitude towards the United States. I am sure these ratings across the Arab world have plummeted now after Washington did not stop or punish the filmmaker. Celebrated journalist Robert Fisk, who has been based in the Middle East for thirty years now, and who therefore understand us, has the best description for the cause of this violence: “Politics and religion don’t mix in the Middle East. They are the same”. RF: What is the feeling of ordinary Iranians toward the allegations being made against Iran regarding its pursuit of developing nuclear energy? If there is widespread support for the program, what reasons do Iranians give for this? SYJ: Despite spending above $80 billion per year on intelligence, the U.S. government and mainstream media, are not- or pretend not to be- familiar with Iranian social, religious and governmental structures and the level of the political literacy of its people. The Ayatollah Khamenei issued a fatwa on April 17, 2010 declaring that the production, stockpiling, and use of nuclear weapons are all Haram (religiously prohibited). The importance of the fatwa can be discovered just by carefully examining the above-mentioned structures. According to Article 109 of our constitution, the Iranian Supreme Leader (Vali-ye Faqih) derives his legitimacy from his religious knowledge, his loyalty to the religion, his being just, and some other factors such as proper social and political insight, wisdom, courage, etc. If the leader commits a deadly sin, he loses his legitimacy, is no more Vali-ye Faqih, and following him is not allowed for anybody. One of the duties of the “Council of Experts”-who are top religious figures of Iran chosen by our people-, is to monitor this, and announce the illegitimacy of the leader should he behave in a way that necessitates this. Lying is considered to be one of those deadly sins in Islam. According to a famous saying from Prophet Muhammad, a faithful man never lies. Imagine, after saying that this is not their intention, what would happen if Iran makes a nuclear bomb! The supreme leader, the highest person in our power structure, would lose his legitimacy among the Iranian people even before the announcement of the Council of Experts. This is why there is a high level of trust on the part of the Iranian people, in their leaders and it is why they provide their full support for Tehran’s pursuit of Nuclear energy. On the other side of this story, our people know what is behind the allegations being made against Iran. When we read the Washington Post or Foreign Policy, we hear often that the goal of the U.S. and its sanctions against Iran is regime collapse. For us, it is crystal clear: The U.S. sanctioned Iran long before the nuclear issue. Western countries supported Saddam Hussein when he invade us long before this “nuclear issue.” So it is not a hard question for the Iranian people to answer why there is talk of sanctions or military actions. They know the reason has nothing to do with our pursuit of the peaceful use of nuclear energy. I think the problem with the analysts in the U.S. is that they rely on invalid news sources about Iran. An opposition group (reformists) media, or a defected person, cannot be a good or, indeed, reliable, source for getting the “realities” of a government and a society. Here’s an example. The Reformist Shargh newspaper, on the anniversary of the start of Saddam Hussein’s war against us, drew a cartoon mocking the volunteer fighters who took part in defending Iran against Saddam Hussein. Meanwhile, the U.S. mainstream media refer to Shargh and the media alike, as independent media and rely on the information published by them and expatriate Iranians. How likely is it that they are able to get a real story about the people of Iran or the government of Iran? As I consider this I wonder if we, as Iranians, are also to blame because our independent media does not produce enough English language content. I am open to working with American independent media if they are willing to work with us. RF: Are ordinary Iranians concerned about the threat of attack from Israeli president Benjamin Netanyahu? I make that distinction because, even within Israel, there are many who do not support Netanyahu’s policies, nor his rhetoric of war; similarly, within the US, there are many Americans, including Jewish Americans, who do not believe in using violence to achieve peace, and do believe that coexistence is possible. Are there Iranians who also feel that their right to safeguard their country and its resources and pursue its political and cultural practices need not come at the cost of coexistence with Israel? SYJ: this may be hard for Americans to understand, but people here find Netanyahu’s words ridiculous and laughable. I think the Israeli people are more concerned about a war with Iran than anyone else, because we aren’t threatning anybody. Look at the social and political atmosphere in the occupied territories every time there is talk of war. Recently I read this in The Times of Israel: “public demand for gas masks, rehabbed bomb shelters and other protective measures has risen dramatically as Israelis have become increasingly jittery over a possible Israeli strike on Iran and the ensuing potential retaliation.” Here in Iran, I have never ever heard the government or even ordinary people panicking about a war and looking for such things as gas masks after Mr. Netanyahu’s threat! So in other words, he issues a threat against us and he terrifies his own people. What kind of leader does that? Once again, I want to repeat the words of Robert Fisk: religion and politics are the same in Iran. The demand of our religious people is -and should be- reflected in our foreign policy. Our people do not look for war with Israel, but we do grieve for our Muslim brethren in the occupied territories. The Prophet Muhammad has said, “if a Muslim hears another Muslim’s call for help and does not answer, he is no more a Muslim.” Israel has occupied Palestine and the Palestinian people are in an unequal war for their lands. Iranians believe that a referendum should be held in the occupied territories to form a democratic system of government there. That is not a lot to ask. And we ask that in the name of our the people who share our religion in that part of the world. How hard is this to understand? RF: On CNN and on other American press, there was support for some of the arguments made by Mr. Ahmadinejad at the UN, particularly those that compare the charges being made against Iran which could just as easily be made against Israel (i.e. Israel’s suspected possession of nuclear weapons in its arsenal, Israel’s refusal to allow any IAEA inspections and Israel’s refusal to sign the nuclear non-proliferation treaty to name a few), as well as its criticism of the structure of the UN itself which awards greater power to a single country (through the use of the veto, usually by the Americans), over the will of the majority which is, after all, the foundation of democracy. Given that this is the case, why is there not a more significant effort by the Iranian government to reach out to the American press and to the American people through other means in order to solidify that kind of support? 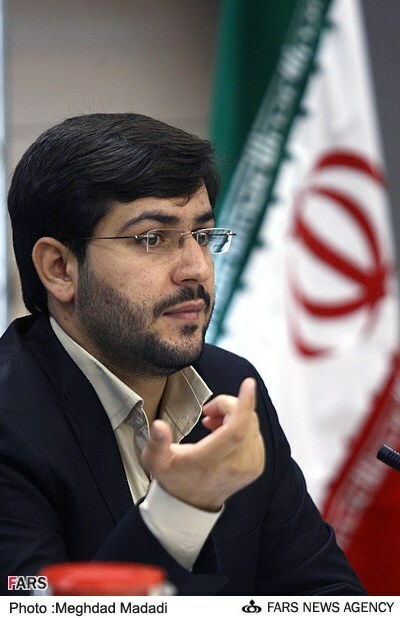 As the Deputy Director of the leading independent Iranian News Agency, Fars, would you be able to make those kinds of connections with the American press? Particularly the independent press here in the US? SYJ: The arguments of Mr. Ahmadinejad at the UN are not new to me or other Iranians. These criticisms have been made for more than three decades by the Islamic Republic. We have been demonized to such an extent that much of what we really think is not covered, and occasionally, something we’ve said for years, or a principle that is deeply held, is reported as being new, or, worse, ridiculed as being insincere. For example, one of the principal policies described by late Imam Khomeini is this: “Islam wants to be friend with all countries in the world. If they have mutual respect for us, Islam wants to have good relations with all nations and all governments.” It might sound simple in translation, but it is a very strong belief for us, as Muslims. As I said before, the Iranian government is to be blamed for not trying enough to reach out to the American people. If we agree with Noam Chomsky that, “there’s a huge gap between public opinion and public policy” in the United States, I would say the American people, and their independent media, like the Iranian government, have tried less to reach out to ordinary people in the Muslim world and beyond. As the Deputy Director of Fars News Agency, I can categorically state, and you can hold me to my word, that we are ready to cooperate with the independent media in the U.S. to reach a mutual understanding about our two nations. We have different faiths, some of us, but we are not so different, in the end, as human beings.